LIVE DOT Road closures, construction zones, bridge, weather, traffic info. 2018 Live road closure reports for USA and CANADA. A comprehensive road closure and closed highway list geared towards heavy haul trucking companies and oversize shipping companies. Also note chain regulations. Road closures. Reports. United States and Canada. United States road and highway closures for truck drivers. AL Alabama – statewide conditions of roads and highway closures. AK Alaska – Driving conditions, planned events, weight restrictions and travel not advised reports. AZ Arizona – High impact travel alerts and road closures. AR Arkansas Road closings and highway closures. CA California – Highway conditions report and road closures and closed highways hourly. Search road number. CO Colorado – Closed roads and highways as well as safety alerts and road work alerts issued. CT Connecticut – Current conditions map with active construction, roadway incidents and closures. DE Delaware – Real-time travel advidory of travel alerts, road closures and alternate routes. DC District of Columbia – DOT road closures, night time closures, temporary closures and closed roads. FL Florida – Florida road closures, closed highways, all scheduled and immediate, overnight closes. GA Georgia – Georgia road closures and closed highways. HI Hawaii – Mostly lane closures and closed highways in Oahu, Kauai, Maui, Big Island, Lanai and Molokai. ID Idaho – Current closed highways and road closures. IL Illinois – Look on the right: flooding closures, construction closures, etc. Emergency road closure list. IN Indiana – Very nice map with all current road closures and closed highways easy to see for Indiana state. IA Iowa – Iowa road closures and closed highways. Very nice map system that is easy to use. KS Kansas – Closed route segment listing for Kansas state roads and highways. KY Kentucky – Closed roads and highway closure reports. Another very nice system that is easy to use. 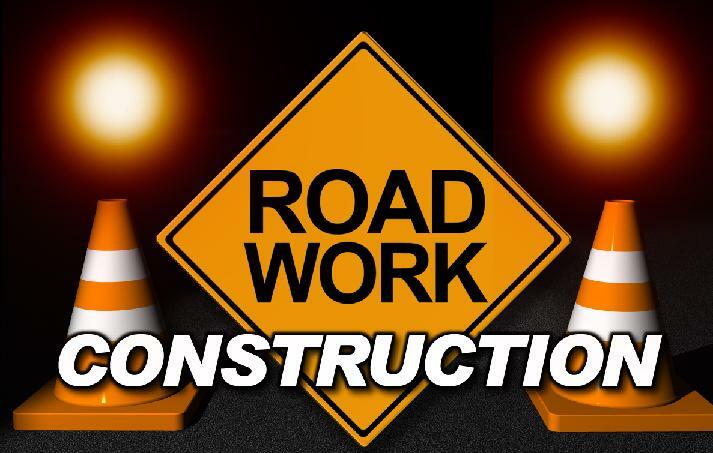 LA Louisiana – Road closures and closed highways as well as construction. See also: scheduled closures. ME Maine – Road closures and closed highways for Maine. MD Maryland – Closed roads and highway closure for Maryland. Search tools to filter data. MA Massachusetts – Closed roads and highway closures as well as incident and construction. MI Michigan – Closures of roads and closed highways as well as incident reports. MN Minnesota – Great map of road closures and closed highways. MS Mississippi – The best system we have seen. Road closures, closed highways and delays. Awesome! MO Missouri – Another one of the best closed roads and highway closure systems we have ever seen. Awesome! MT Montana – Old time map with closed roads and highway closures and we have a list of closures. Old tech. NE Nebraska – Map (make sure you turn on “layers”) closed roads and closures – pdf of road closures – delays. NV Nevada – We have road construction and detours which is Ok, but live alerts in real time (text) are best. NH New Hampshire – Very nice system for road closures and closed highway restrictions. Best, excellent! NJ New Jersey – Very intensive. Road closures and projects. Highway closures. This is it. Comprehensive. NM New Mexico – Awesome system. Road closures and closed highways. Best, awesome, high-tech! NY New York – Another super awesome road closed and highway closure system. Wow NY! NC North Carolina – Pain in the rear. Road closures. Select road. Closed highways. Get with it NC. ND North Dakota – Another super nice road closure and closed highway system. Awesome! OH Ohio – Stay on this link. Do not take pop up suggestion. Road closures and closed highway. Ok.
OK Oklahoma – This link here as well for road closure and closed highways. Not very good system. OR Oregon – Road closure and more info. This link is Ok but try clicking Oregon first. PA Pennsylvania – Road closure and closed highways (select area), all alerts state-wide real time. PR Puerto Rico – There are a few real states that should have a system as good as this one. Nice! RI Rhode Island – This is the one you want here. Road closures and closed highways. SC South Carolina – This is pretty good. Not the best closed road map and certainly not the worst. South Dakota – Not the best but not the worst. If your tall you gotta read this as well. Tennessee – Truck drivers get ready! Tennessee DOT has finally got a good road closure system including a live map in place. TN state. Texas – Right on Texas! Road closures and construction for the whole state made simple for truck drivers hauling in TX state. Saddle up ya’ll! Utah – Pretty decent system. Shows what you need to know from the Utah DOT for truck drivers in UT state. Vermont – Good map system for truck drivers that need DOT route closure info and more in VT state. Virginia – Great live map that details all road closures, construction and more for truck drivers in VA state. Washington – Good, live information for truck drivers needing road closure information for WA state..
West Virginia – Decent map for road closure and construction information for truck drivers in WV state. Wisconsin – Good regional map of construction and road closures for commercial truck drivers operating in WI state. Wyoming – Live information. Great for commercial truck drivers going through WY state. Canada road and highway road closures. AB Alberta – Very nice system for displaying road closure info to truck drivers. Thanks! BC British Columbia – Very nice clickable map system, you have to do your work here (text). MB Manitoba – Again a very nice road closure map. Hats off for the Canadians! NB New Brunswick – Super nice clickable map that shows closed roads and highway closures. NFL New foundland – Another very nice road closure system for truck drivers. NT Northwest Territory – Looks like you have to dig. First link is best then text notices here. NS Nova Scotia – Easy to use plain and simple live map featuring construction and closures. NU Nunavut – Try NT (above) as it is most practical to travel Nunavut via air as not many roads exist. ON Ontario – Great map of Ontario road closures, just check the box you need for info. PEI Prince Edward Island – Cool little map for the island showing road conditions for drivers. QC Quebec – Also you can view in french by road for closure information. SK Saskatchewan – The road closure information for truck drivers in SK. Text hot list. YT Yukon Territory – Great map for road closure information for truck drivers.